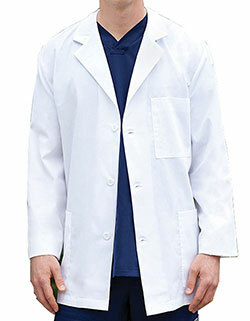 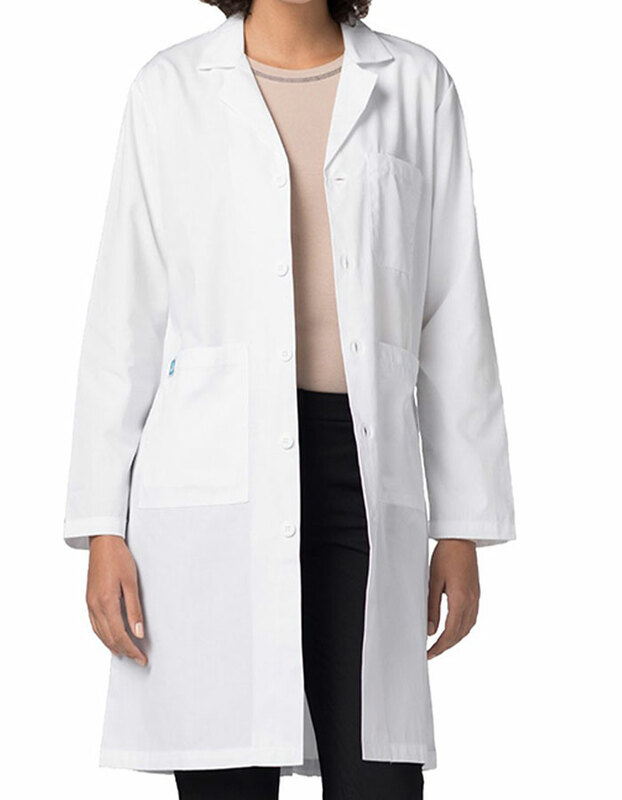 Crisp white full coverage lab coat by Adar Uniform! 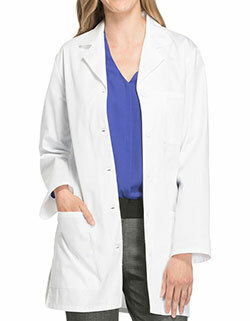 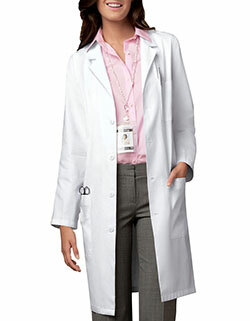 The 40- inches lab coat with a notched lapel collar with a five-button closure. 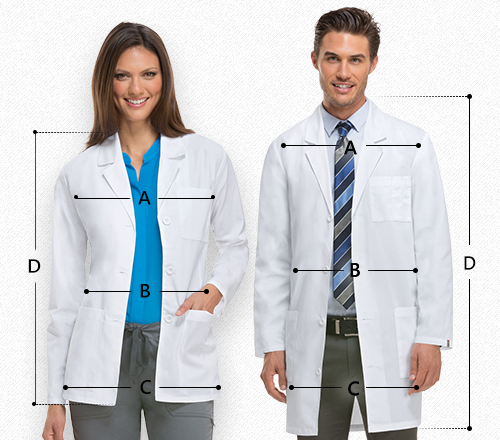 The pocket details are two lower patch pockets, a chest pocket and an extra inner pocket in the right and pen holders in the left side make it great for storage, while the side hand access aids in movement.